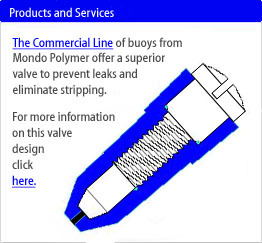 Mondo Polymer Technologies, Inc. was established in 1994 when the company founders recognized an opportunity to advance environmental reclamation as well as business enterprise related to the acquisition and re-use of polyethylene plastic used in thousands of packaging and other one-time applications but often discarded after use. At start-up, the company acquired capital equipment and manufacturing space needed to acquire, sort, process and divert millions of pounds of polyethylene from solid waste streams in communities throughout the Midwestern United States. Capitalizing on the nation's renewed sensitivity to recycling, and understanding the mutually beneficial economics of assisting other businesses in mitigating the flow of useable plastics into public landfills, Mondo created a recycling partnership model that serves as the company's primary source of feedstocks from other businesses and municipalities. A key component of the program is Mondo's turn-key on-site management of polyethylene collection, processing, and outbound transportation that virtually removes the burden of polyethylene waste management from the client company. For more on the Mondo recycling partnership, click here. Original products marketed by Mondo were oriented toward the highway transportation industry, starting with the design of guardrail offset blocks to improve highway safety and extend product life. Following the successful launch of the offset block product line, Mondo acquired a range of molding and extrusion systems to permit the company to expand into wheel chocks, and interlocking containment and barrier wall panels. In 2008, Mondo acquired the assets of Norfloat USA, a West-coast manufacturer of floats and buoys used in the maritime and recreational boating industry. Headquartered in Reno (Washington County) Ohio, and adjacent to Interstate 77, Ohio Route 7, the Ohio River, and proximate to significant transportation resources, Mondo Polymers is completing a 40,000 sq.ft. expansion near the company's current facility that will house new rotational molding, injection molding, extrusion and related fabrication and distribution services for its own products as well as others manufactured under contract with other firms. Mondo Polymer Technologies, Inc. welcomes queries from other companies interested in polyethylene recycling. Contact Ron Wesel for more information.